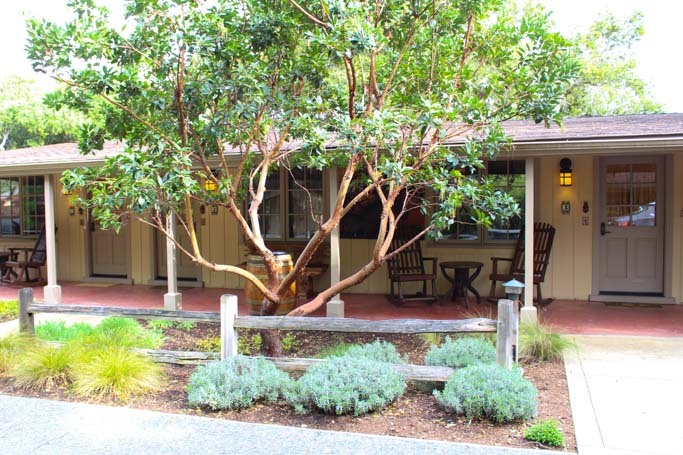 Holman Ranch is an ideal location in the hills above Carmel Valley perfect for special events and weddings. 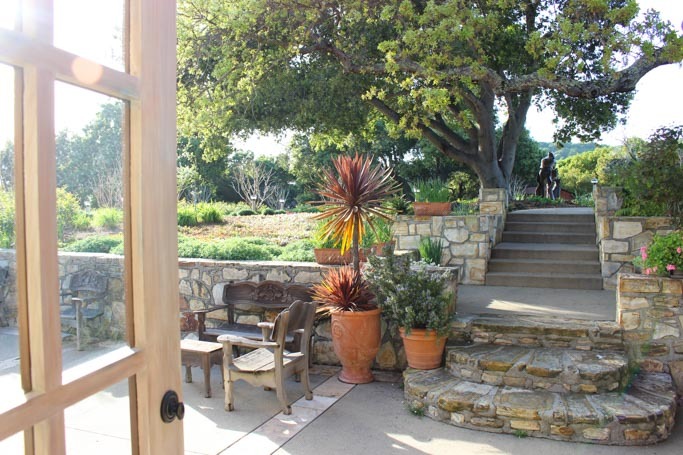 The grounds feature a stone hacienda, sweeping views, and an olive grove. 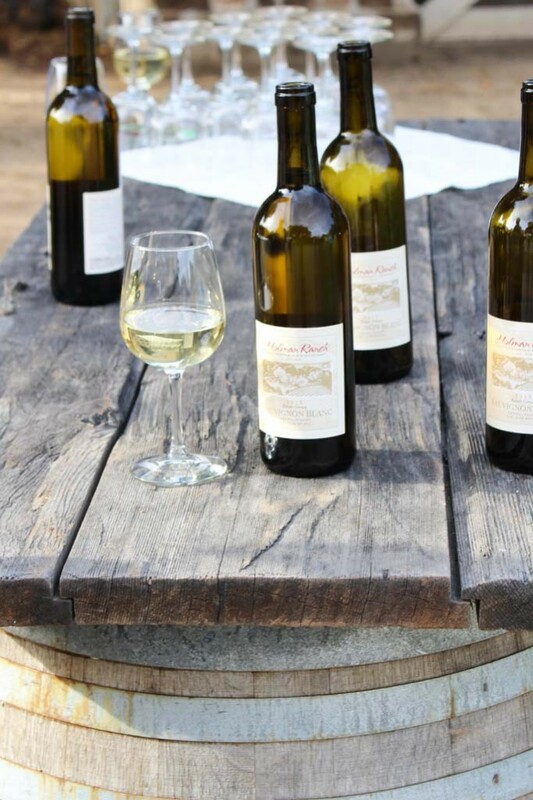 While their estate vineyard produces amazing Chardonnay, Pinot Gris and Pinot Noir. Travel 12-miles inland from the Pacific Coast, and in the hills above Carmel Valley, and you’ll find the lovely Carmel Valley Village. 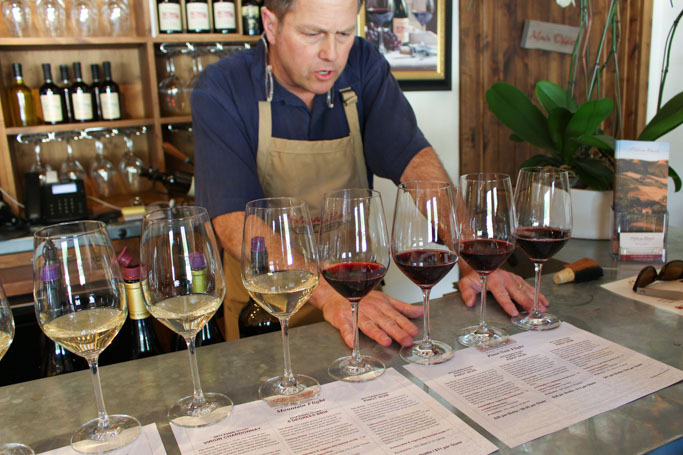 This quaint town features several wine tasting rooms, art galleries, and yummy restaurants. 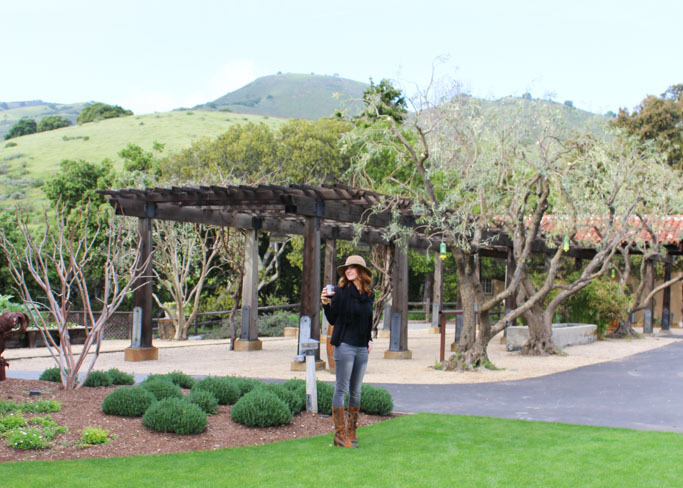 We were lucky enough to be brought to this area as part of a media visit, to tour the amazing Holman Ranch, a private estate and vineyard that sprawls across 400-acres. 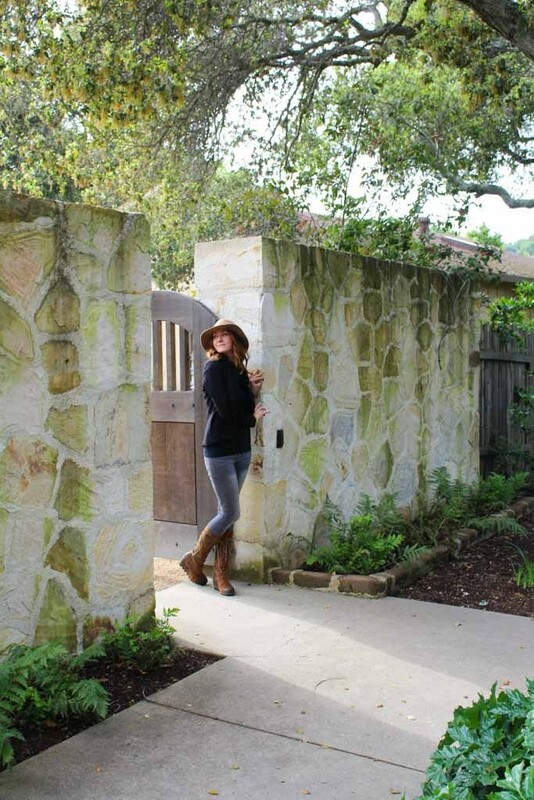 We first stopped by the Holman Ranch tasting room to grab our keys. 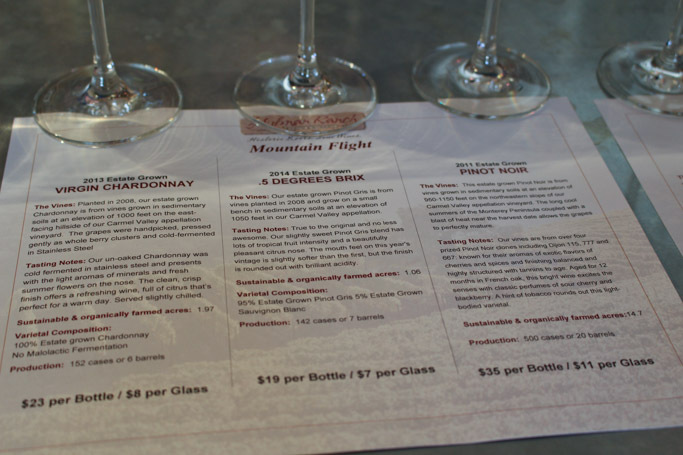 Of course, while we were there, we definitely had to partake in some wine tasting! Duncan led us through and extensive tasting of Holman’s wine portfolio, including Pinot Gris, Chardonnay, Sauvignon Blanc and Pinot Noir. 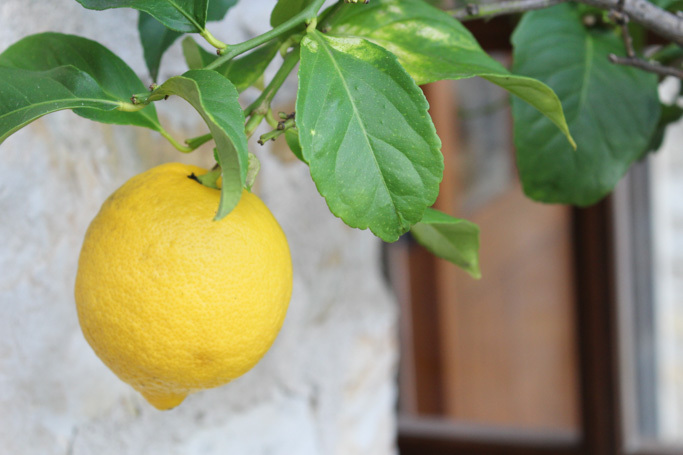 Their best seller is their .5° Brix, an off-dry Pinot Gris that would be a perfect match for a spicy dish or lighter fare. After our tasting, we made our way up into the hills to the property. It was one of the most serene locations I have ever been to. 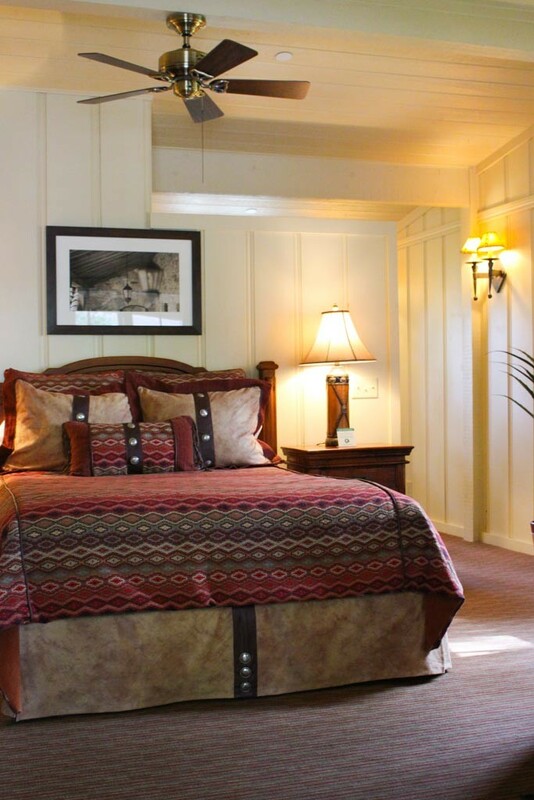 We settled into our room for a bit – The decor was just what you would expect at a ranch – A bit masculine, with oversized furniture, and extremely comfortable. There are eight guest rooms, and each features a sitting area outside, with rocking chairs, perfect for enjoying the sound of the breeze outside. After becoming completely relaxed, owner Nick Elliott took us on a tour of the grounds and explained its rich history. 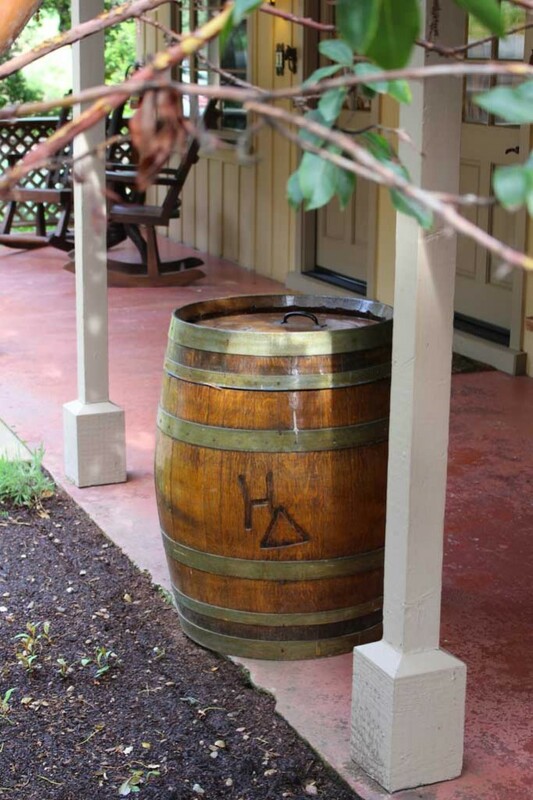 Holman Ranch features a large horse stable and riding grounds, a winery, olive groves, vegetable gardens, and more. 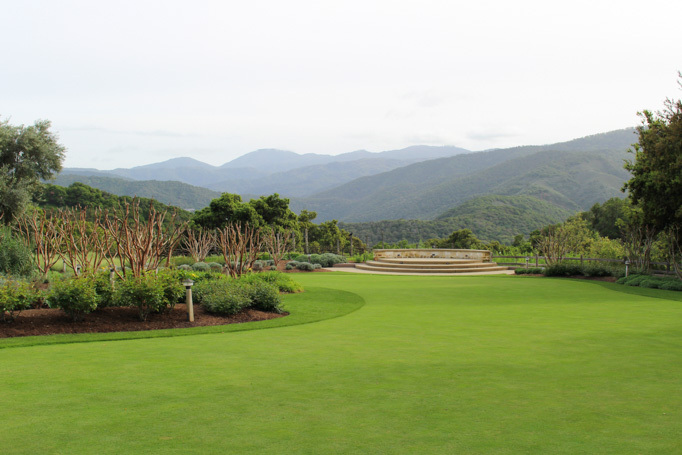 In 1928, a San Francisco businessman, Gordon Armsby, was attracted to the rich farmland and leisurely pace of Carmel Valley, and purchased the land that would be Holman Ranch. 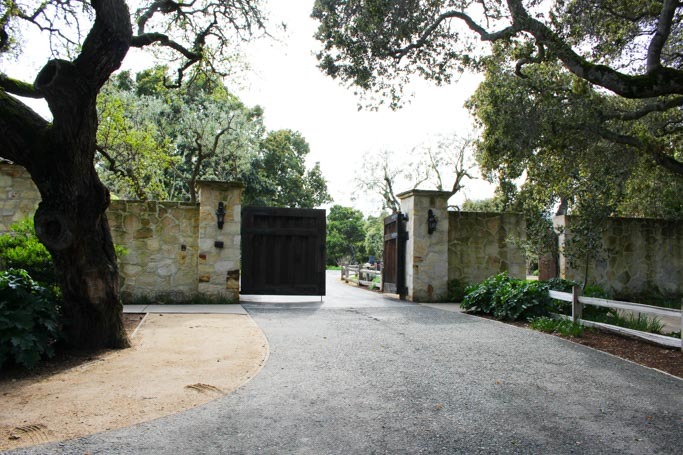 In designing the home, Armsby chose a classic Spanish-style, featuring a hacienda and built from local Carmel stone. A truly stunning and impressive property, it has served as an exclusive hideaway for many Hollywood celebrities including Charlie Chaplin and Theda Bara. 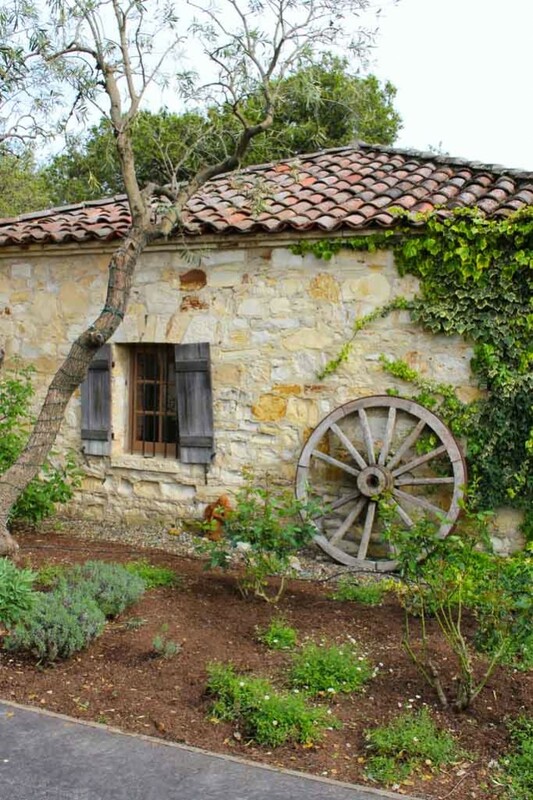 In the 1940s, financial troubles hit Armsby, forcing him to sell his Carmel Valley property. 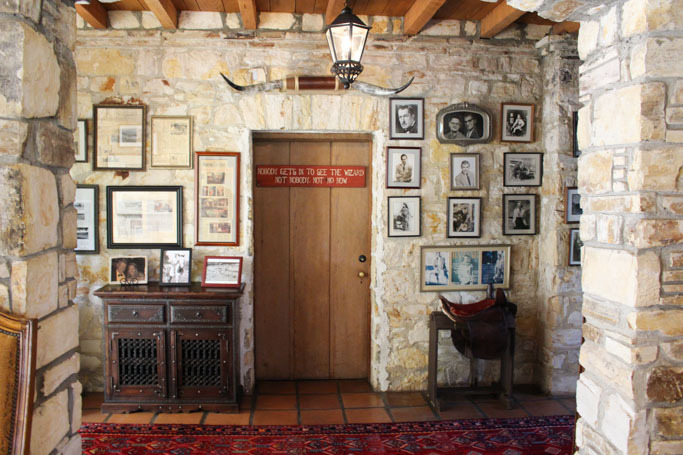 Clarence Holman, the eldest son of the Holman’s Department Store (in Pacific Grove) family purchased the ranch and transformed it into Holman’s Guest Ranch. After he and his wife Vivian passed away, Dorothy McEwen purchased the property with aspirations of opening a 25,000-case winery. She continued Vivian Holman’s passion for community involvement and old-fashioned hospitality until her death in 2005. 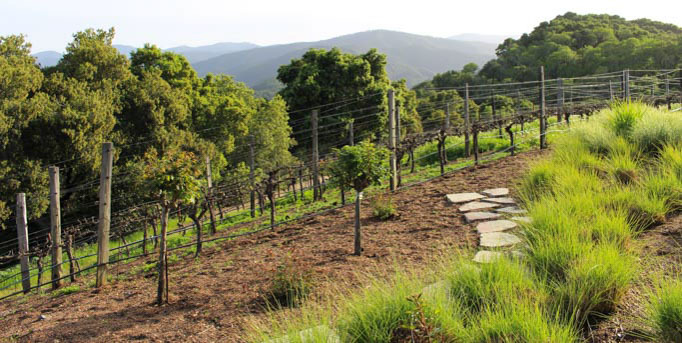 Discovered in 2006 by recently retired Thomas and Jarman Lowder, they fell in love with the charm of the property and purchased Holman Ranch in order to fulfill their lifelong dream to make estate grown wine and olive oil. The Lowders completely restored the property, returning it to its original grandeur. 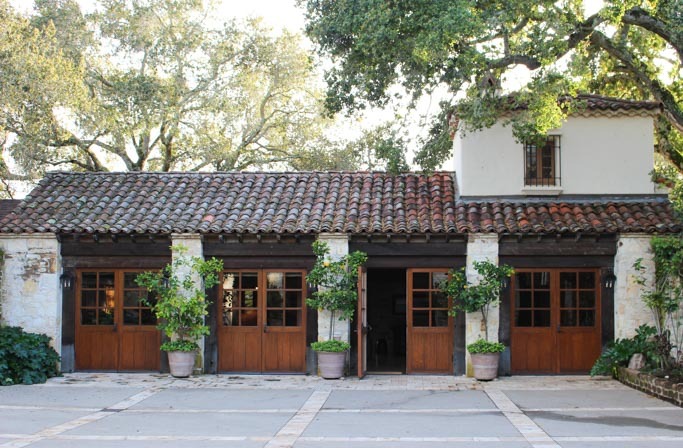 Holman Ranch is the ideal location for weddings and special events. Just look at this amazing place! After our tour, we were treated to dinner at Wills Fargo Steakhouse and Bar, with Nick and his wife, Hunter Lowder. Hunter runs all of the property’s special events and has worked directly with the new head chef at Wills Fargo (which is also owned by the Lowders) to create their amazing menu. I was blown away by each and every one of the dishes – From the corn salad, to the amazing grilled kale ceasar, the short ribs, the chocolate lava cake. Perfection! 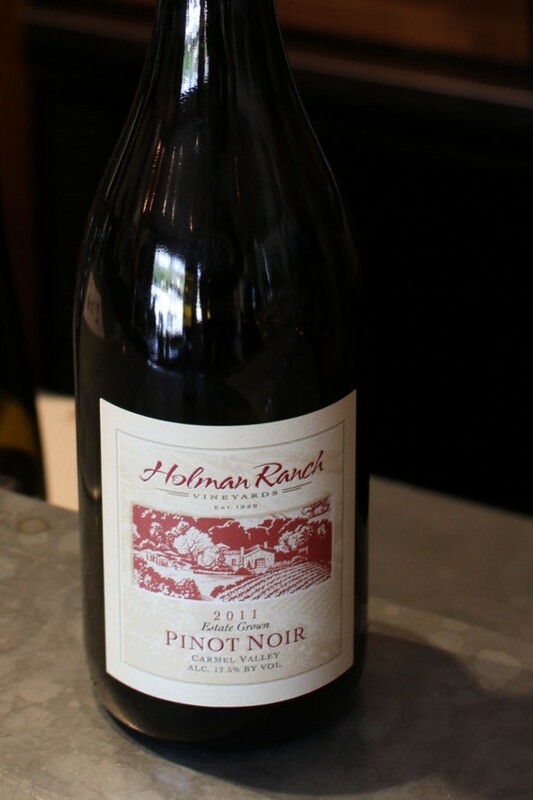 And, of course, served with wines from Holman Ranch’s second label, Jarman. Holman Ranch is not open to the public. However, it is the perfect place for special events. 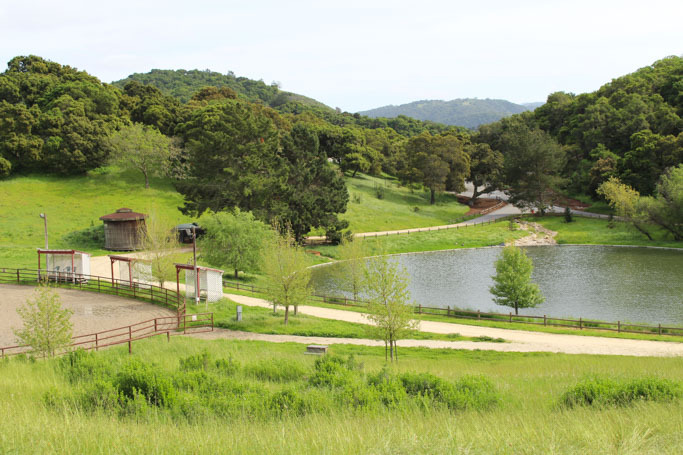 In addition to weddings, Holman Ranch is available for family reunions, retirement parties, corporate meetings and retreats and more. Choose from a variety of themed and all-inclusive packages or customize your own. 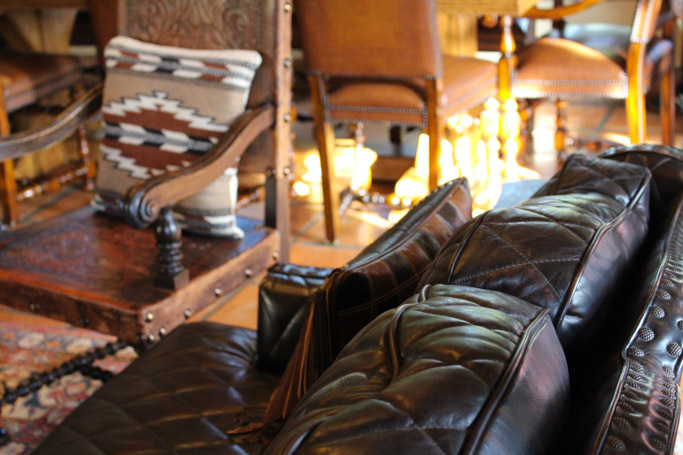 Want to stay at Holman Ranch? Become a member of their Grand Estate Club, and you’ll be treated to a two-night stay in one of their guest rooms, as well as lots of amazing wine! For more information, visit the Holman Ranch website or contact them at info@holmanranch.com. 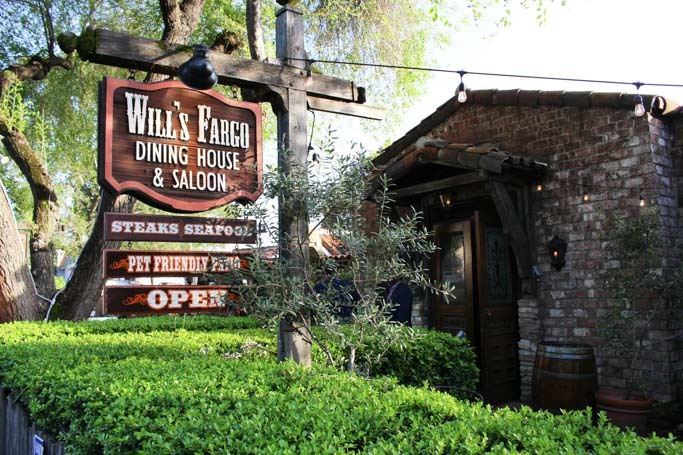 Disclosure: Our stay at Holman Ranch was complimentary, as was our dinner at Wills Fargo. As always, all opinions are my own. Looks so gorgeous. Thanks for sharing. Now I really want to schedule in some time to get down there. Looks so peaceful! Also, I love your hat in those pics!!! I need a hat like that! Thanks Mary – The hat is from Target!!! I hope you’re able to make it down there for a visit eventually – Such a fabulous spot! Thank you Marlynn! It was a beautiful day! Beautiful photos Erin!!! I love the feel of this place, and such a beautiful area. What a lovely venue. I bet wedding held there are a photographer’s dream. I’m sure that all the weddings photographed there turn out AMAZING! Such a great venue! The shoes are Sorel – They’re super comfortable, and waterproof, which is PERFECT for Oregon! I don’t drink anymore, so the wine is lost on me. Particularly Pinot. Never really liked the stuff. I was a Sangiovese guy. But the locale of that place. Superb. 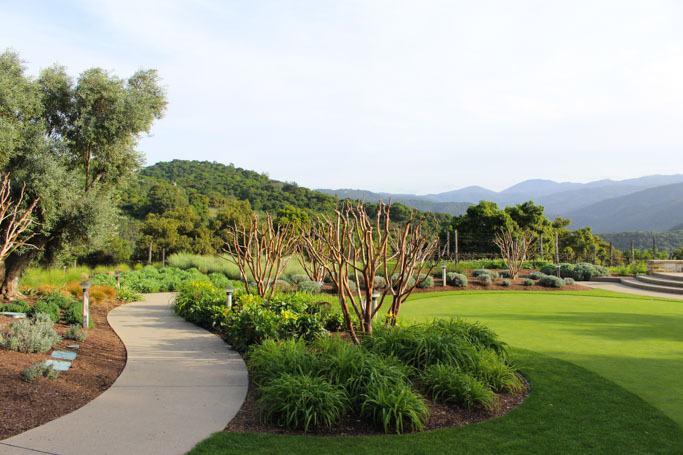 We actually considered Holman Ranch for our wedding—the grounds are simply stunning. Aren’t they gorgeous Rhiannon?! Such a beautiful location!